💡 Why Should I Hire a Buyer’s Agent? Whether you’re a first-time home buyer, a seasoned real estate investor, or somewhere in-between, there’s a lot at stake when purchasing a property. Buying your new home likely to be the biggest investment you’ll ever make – that means you can’t afford to make any mistakes when looking at listings, negotiating a purchase offer, and closing on a contract. 👥 What is a Buyer's Agent? 🙋‍♀️ What is an Exclusive Buyer's Agent? 💲 Who Pays the Buyer's Agent? 🧐 How Do I Find a Buyer's Agent? 👥 What is a Buyer’s Agent? A buyer’s agent is a licensed real estate agent who represents you, the home buyer. Their job is to help you, and in fact, they are legally obligated to provide you with the best possible representation throughout the home-buying process. 🙋‍♀️ What is an Exclusive Buyer’s Agent? An exclusive buyer’s agent is a real estate agent who only represents real estate buyers – they never actually list properties for sale or represent a home seller. An exclusive buyer’s agent may be an agent or broker who works for a full-service real estate company, or in some cases, the agent may be a part of an exclusive buyer agent (EBA) firm, also known as a Buyer’s Agency – a real estate firm that only works with buyers, and never offers representation to real estate sellers. Hiring a buyer’s agent provides you with several benefits and advantages when searching for a home. Your buyer’s agent acts as your own personal guide throughout the home buying process, helping you to narrow down the specific type of property you’re looking for, focus in on an area, and understand the pros and cons of specific home styles, neighborhoods, and ownership arrangements. Once you’ve entered into an agreement with a buyer’s agent, they will search for properties that match your criteria, and in some cases, they can even give you access to new listings before they reach the market. Your buyer’s agent will also help you tour prospective homes, helping you to identify issues that you might be unaware of. When it comes time to negotiate an offer on a home, your buyer’s agent will provide you with advice around the price you should offer and any specific clauses that need to be included to protect you. Your agent will act on your behalf to deal with any counter-offers, discounts for deficiencies, and other details that come with purchasing a home. Once a conditional offer is accepted, your buyer’s agent can refer to you a licensed home inspector, appraiser, mortgage broker, and other professionals you’ll need. If the home inspection reveals unexpected problems, your buyer’s agent will act on your behalf to ensure your best interests are protected, and in cases where a property is more trouble than it’s worth, your agent will make sure you have the option to walk away from the deal. 💲 Who Pays the Buyer’s Agent? The home seller pays all the listing fees associated with the sale of their home, including real estate commissions. 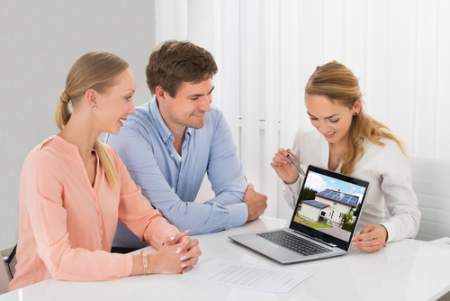 In situations where the home purchaser has decided to enlist the services of a buyer’s agent, the commission on the sale would normally be split evenly between both the seller’s agent and the home buyer’s agent. For example, if the seller agreed to pay a six percent (6%) real estate commission when they listed their home for sale and their home sold for $400,000 to a purchaser who was represented by a buyer’s agent, each real estate agent (the listing agent and the buyer’s agent) would earn a commission of $12,000 each, payable by the seller upon closing. The only exception to this is in situations where the property you wish to purchase is listed for sale directly by the owner, without the use of a listing real estate agent. In these cases, buyers will need to negotiate with their buyer’s agent to determine how much the agent should be paid by the buyer for their services. 🧐 How Do I Find a Buyer’s Agent? It’s important to find a buyer’s agent that makes you feel comfortable. You want to have confidence in their skills. Take the time to interview a few different agents once you’ve narrowed down a short list based on recommendations from family members, friends, and professionals you deal with such as lawyers, accountants, and bankers. Ask questions about which neighborhoods each buyer’s agent deals in since local knowledge is key to helping you find the right home for you and your family. Inquire about each agents’ schedule, their availability, and whether they have another agent who can step in should a scheduling conflict arise. Be sure to inquire about references (and check them) as well as how much experience they have as a buyer’s agent. Your real estate agent is the best source of information about the local community and real estate topics. Give Nina Hollander a call today at 704-779-0813 to learn more about local areas, discuss selling a house, or tour available homes for sale.